Below you can view all the homes for sale in the Deerwood subdivision located in Conyers Georgia. Listings in Deerwood are updated daily from data we receive from the Atlanta multiple listing service. To learn more about any of these homes or to receive custom notifications when a new property is listed for sale in Deerwood, give us a call at 404-998-4166. 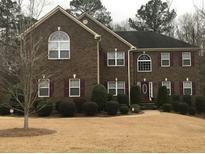 Custom Estate Home *3/4 Acre Cul-De-Sac Lot *3 Sides Brick *2 Story Entry *Formal Living *Formal Dining Room *Light Filled Family Room *Entertainers Kitchen *Granite Counters *Island *Ample Cabinet Space *Double Ovens *Gas Cooktop *Guest Bed & Full Bath On Main *Laundry On Main *Office *2 Upper Level Master Suites Each W/Sitting Area, Fireplace, Built-In Bookcases, Ensuite W/ Double Vanities, Jacuzzi Tub & Wic'S *Finished Terrace Level *Media Room With Surround Sound *2 Bedroom'S *Jack & Jill Bath *Home Salon *Game Room *Unfinished Storage Space *Screened In Porch *Grilling Deck MLS#6538719. Exp Realty, Llc.. The Grand Kitchen Is A Great Gathering Place For Family And Friends And Flows Effortlessly Into The Breakfast Area And Deck Which Overlooks A Large Private Level Backyard On 1.36 Acres In Deerwood MLS#6522519. American Realty Professionals Of Georgia, Llc..
Live, Love & Entertain, Just Call It Home! MLS#6522191. Remax Ambassadors.